Dubai is located in the north east of the United Arab Emirates and is the country's principal commercial center, chief port and the capital of the state of Dubai. Dubai's economy was built on the back of the oil industry, which developed rapidly after oil was first struck in the mid 1960s. Dubai has changed dramatically over the last three decades, becoming a major business center with a more dynamic and diversified economy. Dubai enjoys a strategic location and serves as the biggest re-exporting center in the Middle East. The city now has thriving manufacturing, finance, information technology, big choice of Dubai property and tourism sectors and is home to numerous multinational companies such as AT&T, General Motors, Heinz, IBM, Shell, and Sony. The emirate of Dubai is strategically located between Africa and the Middle East and between the Far East and Europe, making it a gateway to over 1.5 billion consumers located in countries surrounding the Red Sea and the Gulf. It has a superb infrastructure with the consequence that it has become a key link in the global transport and distribution system. 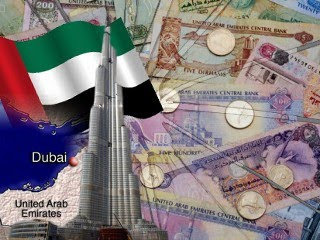 The Dubai economy enjoys a competitive combination of cost, market and environmental advantages that create an ideal and attractive investment climate for local and expatriate businesses alike. In fact, these advantages not only rank Dubai as the Arabian Gulf’s leading multi-purpose business center with luxury Dubai property and regional hub city, but they place it at the forefront of the globe’s, dynamic and emerging market economies. The manufacturing sector in Dubai is very healthy with some of the most important industries including beverages, chemicals, paper, pharmaceuticals and rubber. All the major international accountancy firms have offices in Dubai and the city is also home to dozens of national and locally incorporated international banks. In March 2000, the UAE's first stock exchange, the Dubai Financial Market was opened. The tourist industry is the fastest growing sector within Dubai's economy. The number of tourists visiting Dubai has increased dramatically over the last 10 years and many of them make investments in Dubai property, especially with regards to visitors from Western Europe, and the government hopes to attract 10 million tourists a year by 2010. With this in mind, huge investment is being made to develop the city's hotel, leisure and recreational infrastructure. In Dubai there are no personal taxes other than import duties (mostly at rates up to 10%), a 5% residential tax assessed on rental value, and a 5% tax on hotel services and entertainment. Dubai's enormous oil revenues mean that the government has no need to raise income through direct taxation. 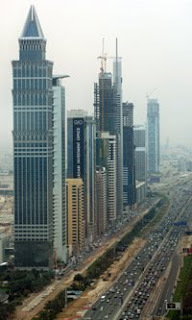 Accordingly Dubai is a "no tax" emirate characterized by an almost complete absence of taxation. There are no withholding or capital taxes. With the exception of banks and oil companies no corporate income tax is payable by businesses in Dubai. Oil companies pay up to 55% tax on UAE sourced taxable income whereas banks pay 20% tax on taxable income. The taxable income of banks is as per the audited financial statements whereas that of oil companies is as per the concession agreement. Oil companies also pay royalties on production. After knowing this we can see that Dubai economy growth was very rapid and many factors show that it will grow even more in nearest future. Safety Precautions and Hazards of Liquid Petroleum Products. How Far is Dubai Tax Free in Reality?